If you have ever visited Florida, or know people who live there, you have probably had the pleasure of tasting key lime tartlets, which are key lime tarts prepared and presented as individual servings. 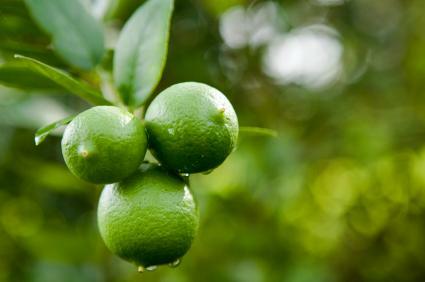 Although key limes are now sold at major grocery stores in many states, they used to be widely available only in Florida where citrus growers successfully cultivated them in the groves of the Florida Keys, which is where their name originated. They are generally smaller than regular limes or Persian limes. Key limes have thinner skins and a tarter flavor than Persian varieties. Key limes are also known as bartender limes, West Indian limes or Mexican limes, although the Mexican variety typically has a darker green and thicker skin that the other types. Every key lime tart, tartlet and pie recipe includes the obligatory key lime juice. Other than that, the variations on the crusts, filling ingredients and toppings are numerous and creative. Cream cheese, eggs and sweetened condensed milk are the most popular ingredients to mix with key lime juice and sweeteners to create fillings, probably due to the lightness these ingredients give to the distinct tartness of the limes. Toppings for key lime desserts are generally light and airy, again in deference to keeping the lime flavor the main attraction. Fresh, lightly sweetened whipped cream is among the favorite tart and pie toppings, as is a light sprinkling of powdered sugar. Add a bit of lime zest to the whipped cream to give a nice bite to the dessert, as well as a dash of bright color. This version uses sweetened condensed milk for the filling and crushed gingersnaps for the crust, although any hard cookie is acceptable. Serve the whipped cream topping plain or with the addition of lime zest. Preheat oven to 350F degrees and adjust the rack to the middle of the oven. Combine shortening, cookie crumbs and 3/4 cup sugar in a food processor fit with a metal blade and pulse until finely ground. Spray the inside of a tartlet or muffin tin with cooking spray, being sure to thoroughly coat all surfaces. Press the crust mixture into each section, dividing it evenly among all the cups. Bake for ten minutes and cool the crusts to room temperature. Blend the condensed milk with the egg yolks. Add six tablespoons of the zest along with the lime juice and mix well. Divide the mixture among the openings in the baking pan. Bake at 350F degrees for 10 to 15 minutes until set, turning the pan halfway through to ensure even baking. Cool completely, remove from pan and chill until ready to serve. Right before serving, whip the cream to soft peaks. Add the remaining sugar and zest, along with the vanilla and beat to stiff peak stage. If this recipe doesn't offer enough challenge, look for one that requires making a lime curd from scratch to use as the filling or versions that call for brlûée toppings or fancy Oreo cookie crusts. As long as you have key lime juice and a good juicer, your only limitations are your imagination and time commitment.